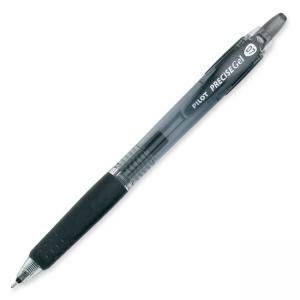 Precise Gel BeGreen Pen is made from 83.2 percent recycled material. Dynamic gel ink formula delivers smooth writing and smearproof ink. Design features patented Precise Needle Point Technology, retractable rolling ball tip, and a rubber grip with traction pockets for easy gripping and long-lasting comfort. Gel pen meets ISO 14001 and 14021 standards. Refillable with G2 and Q7 refills.